I blogged in 2016 about a case where the mistaken identification of an innocent octogenarian tailor in place of his alleged gun-running son produced a useful case study for media law educators trying to explain the basic elements of defamation. 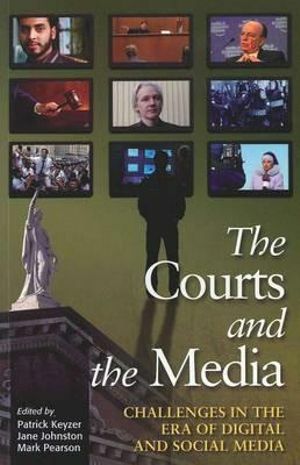 Indeed, the NSW District Court case of Zoef v Nationwide News Pty Limited & Ors  NSWDC 232 remains an excellent introduction to defamation, although in October 2016 the NSW Court of Appeal overturned the publisher’s defence of “offer of amends” which was originally granted by the lower court, in the appeal case of Zoef v Nationwide News Pty Ltd  NSWCA 283, and awarded the plaintiff $150,000 in damages. The appellant, Mr Tony Zoef, also had a partial victory in a more recent appeal over the backdating of the damages award, costs and interest owing in Zoef v Nationwide News Pty Ltd (No 2)  NSWCA 2. The first appeal is useful for educators explaining identification issues in defamation and the “offer of amends” defence requirements under s 18 of the Defamation Act 2005 (NSW) (Defamation Act) – and its equivalent in other Australian jurisdictions – while the 2017 appeal holds little value for media law teachers. The case centred upon an article published in The Daily Telegraph on 22 August 2013. It appeared a relatively straightforward case of confused identity, where the reporter mistakenly attributed to the older Mr Zoef – a suburban Sydney tailor – the alleged crimes of his son who lived at the same address. At trial, the sole basis on which Mr Zoef’s claim was dismissed was the newspaper’s defence that Mr Zoef had failed unreasonably to accept its offer of amends. The article portrayed a then 81-year-old suburban tailor (with a distinctive surname ‘Zoef’) as a gun-runner who had been arrested, charged and appeared in court facing charges related to him holding a huge cache of weapons and ammunition at his home. Police had indeed raided his premises and had found weapons and ammunition in the house’s garage, occupied by the tailor’s 43-year-old son, who shared his father’s name and was the actual individual who had appeared in court facing those charges. the question of identification and case law establishing the extent of defamation of a second person with the same name and address as the first [*** considered on appeal]. whether a claim for defamation will hold when some other identifying factors do not match one of the named individuals. [In this case, while the headline identified the plaintiff as a tailor, the article featured a small photograph of his 43 year old son and mentioned the younger man’s age]. [*** considered on appeal]. whether an offer of amends had been reasonable and whether it had been accepted by the plaintiff [***the trial judge’s decision which was subsequently overturned on appeal]. The trial judge had held that, despite the serious errors in the reporting of the story and a dispute over whether the publisher’s offer of amends was reasonable and had been withdrawn, the newspaper was entitled to the offer of amends defence. Taking into account the seriousness of the defamatory imputations and the significant hurt they caused the appellant, the damage to his business as a tailor, the unequal prominence the respondent afforded to the proposed correction and apology and their resultant inadequacy, the modest monetary component of the offer, and the likelihood of the proceedings being successful, the offer of amends was not reasonable. His Honour was in error in finding to the contrary and upholding the respondent’s defence under s 18 of the Defamation Act. (at para 78). His reasons for that decision involved a step-by-step appraisal of the offer of amends defence and thus make useful instructional material for educators wanting to explain this defence to students. It should also serve to remind journalists that the offer of amends is very much a ‘lawyers’ defence’ – not something that should be handled by journalists or editors independent of legal advice – and given its time constraints it means that counsel from lawyers on the efficacy and wording of any such offer should be sought promptly. The publisher also challenged the trial judge’s findings on whether the plaintiff had been identified in the article when it carried a photograph of his son and stated his age as 43 years old. The article in this case contained a prominent and sensational headline, which, when read together with the first paragraph (par 29), would be reasonably understood to refer to the appellant. The strength of the general impression thereby created surpasses and dominates that of the subsequent reference in par 30 to a “43 year old” which is not something the ordinary reasonable reader might be expected to have focused on, let alone re-read or reviewed. It lacked the prominence of the sensational headline and the focus on the local, relatable indicia of the identified person’s name, profession and locality in the foregoing paragraph. In respect of the photograph, his Honour’s finding that it was “immaterial” is supported by three considerations. One is that the photograph was small, cropped, and, as his Honour found, “less than distinct”. Next, the appellant gave unchallenged evidence in cross-examination that his son was not known to his customers. No identification would therefore have been made on a visual basis by the appellant’s customers. Finally, the use of historical photographs in newspaper articles is not so uncommon as to render unreasonable a conclusion by the ordinary reasonable reader that the article (with an unfamiliar photo) referred yet to the appellant. (paras 159-160). So there you have it. The Zoef case – both at trial and on appeal – holds valuable lessons for media law students and educators are encouraged to use it as a case study. I have done so successfully with both journalists and tertiary students. The morphed identification of an innocent octogenarian tailor and his alleged gun-running son produces a useful case study for teachers and trainers trying to explain the basic elements of defamation. The article portrayed an 86-year-old suburban tailor with a distinctive name as a gun-runner who had been arrested, charged and appeared in court facing charges related to him holding a huge cache of weapons and ammunition at his home. whether a claim for defamation will hold when some other identifying factors do not match one of the named individuals. [In this case, while the headline identified the plaintiff as a tailor, the article featured a small photograph of his 43 year old son and mentioned the younger man’s age]. whether an offer of amends had been reasonable and whether it had been accepted by the plaintiff. Para 37 …where a plaintiff has actually been named in a defamatory publication it is not necessary for the plaintiff to show that those to whom the material was published knew the plaintiff: Mirror Newspapers Ltd v World Hosts Pty Ltd (1978 – 1979) 141 CLR 632, at 639. 38 Even so, the plaintiff must establish that the defamatory matter should be understood to be referring to him: Consolidated Trust Co Ltd v Browne (1948) 49 SR (NSW) 86, at 91. The determination of that question of identification is not to be decided by a consideration of what the publisher intended: Hutton v Jones  AC 20. 39 In cases where a defamatory publication names one person but another person of the same name has been defamed, this can give rise to more than one claim: Lee v Wilson and Mackinnon (1934) 51 CLR 276, as cited in Australian Defamation Law and Practice, Volume 1, TK Tobin QC, MG Sexton SC, eds, 2003, at . 49 In my view, the combined context … serves to adequately identify the plaintiff…. 52 …the article strings together the plaintiff’s name, his profession, the fact that he lives in his home in the Sutherland Shire, and has a business altering the clothes of locals all point strongly to the article mentioning the plaintiff by his name and is sufficient of his personal situation to indicate it was him who was the subject of the article. 53 Those details all follow the sensational headline “Tailor’s alter ego as a gunrunner” thereby making a connection between the plaintiff and the described illegal activity concerning the cache of weapons and ammunition found at the premises. 54 The fact that an unclear undated photograph of Tony Zoef appears in the article (at par 38) is immaterial. The fact the article identifies the age of the person the subject of the article as being a 43 year old does introduce an element of possible confusion (par 30) along with the indistinct photograph (at par 38), but inaccuracy of some details appearing in a newspaper article is not an unknown phenomenon. 55 The salient feature is that the plaintiff was named in the article with sufficient of his personal details to suggest he was thereby identified, although the latter details are not essential to that finding. 56 As the article in question named the plaintiff, in my view thereby identifying him, this forms the basis of his right to bring the proceedings without more being shown by him. The fact that there were two persons at the premises named Tony Zoef is immaterial. Both persons of that name could bring proceedings for defamation in their own names: Lee v Wilson and Mackinnon (1934) 51 CLR 276. 59 …I am nevertheless satisfied that the material complained of should be understood as referring to the plaintiff even though the publisher may not have intended that to be so: Consolidated Trust Co Ltd v Browne (1948) 49 SR (NSW) 86, at 91. 60 I consider that … an ordinary sensible reader would identify the plaintiff as the person the subject of the material complained of because of the specific of his name, profession, and locality as already explained. Such a reader… would not read such a sensational article as the one in question with critical and analytical care. 61 The article would be approached by such a reader with the permissible amount of loose thinking, and that reader would be reasonably entitled to draw the conclusion that the article was referring to the plaintiff, even though there were some elements of confusion such as a less than distinct photograph and a different age mentioned to that of the plaintiff. An ordinary reasonable reader would not necessarily know the plaintiff’s age or his level of interest in matters to do with space. The headline of “Tailor’s alter ego as a gunrunner” would catch the attention of such a reader and permit the general impression of the story being a reference to the plaintiff: Mirror Newspapers Limited v World Hosts Proprietary Limited [1978 – 1979] 141 CLR 632, at p 646; Morgan v Odhams Press Ltd  1 WLR 1239. 44 In cases involving headlines, it must be borne in mind that the ordinary reasonable reader will draw conclusions from general impressions when reading the matter complained of. Such general impressions are necessarily formed by the technique of using prominent headlines to communicate the principal message of the publication, and it must be recognised that in that process, such material may diminish the reputations of those affected: Chakravarti v Advertiser Newspapers Limited (1998) 193 CLR 519, at p 575. A large portion of the judgment centred upon whether a defence of ‘offer of amends’ should be upheld under s 18(1)(c) of the Defamation Act. The judge held that, despite the serious errors in the reporting of the story and a dispute over whether the offer of amends was reasonable and had been withdrawn, the newspaper was entitled to the offer of amends defence. Defamation laws can be intimidating for journalists, bloggers and other professional communicators. The key, according to barrister Mark Polden, is in researching and writing to the basic defences. 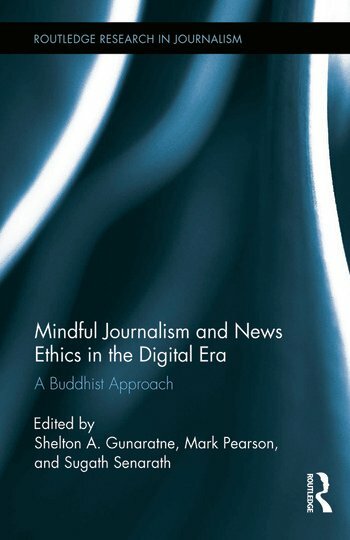 Mark Polden was in-house counsel at Fairfax Media for many years before going to the Bar, and is my co-author of The Journalist’s Guide to Media Law (Allen & Unwin). In this 11 minute interview with @journlaw, he outlines in simple terms the three ‘bread and butter’ defences used by writers and publishers – truth, fair report and honest opinion (fair comment). Exactly what is defamation and how does it apply to your average journalist or blogger? 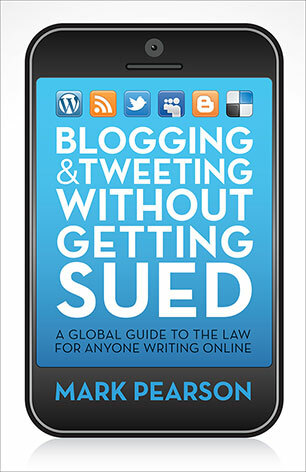 That’s what I asked barrister Mark Polden in this short interview on defamation basics. 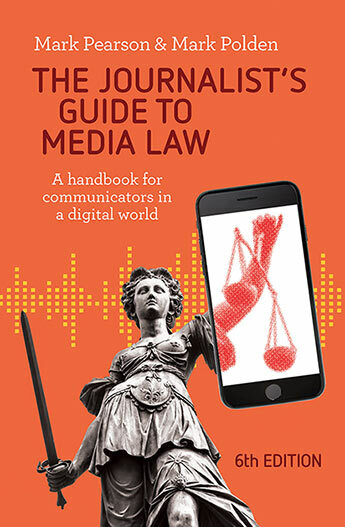 Mark Polden was in-house counsel at Fairfax Media for many years before going to the Bar, and is my co-author of The Journalist’s Guide to Media Law (Allen & Unwin). Here he offers a lay definition of defamation and gives some examples of how journalists, bloggers and other professional communicators might write to minimise the threat of legal action. What is the secret to good court reporting? 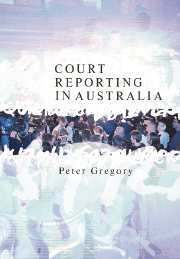 Highly experienced court reporter and academic Peter Gregory [@petergregory17] – author of Court Reporting in Australia (Cambridge University Press, 2005) – tells @journlaw the essential techniques needed by a journalist wanting to cover the court reporting round. Gregory explains how he recently returned to duty when he filled in to cover the sentencing of Adrian Bayley for the murder of Jill Meagher – in a marathon 12 hour shift! He discusses the court reporter’s difficulties in writing fair and accurate reports of trials, particularly when they might be unfolding in different courtrooms at the same time. He also gives tips on how a journalist might stand up in court to oppose a suppression order being imposed by a judge or magistrate. Useful viewing for journalism and law students – and for anyone wanting an insight into the work of the court reporter.